Hangers for your college closet are what will keep those clothes off the floor. In short, they're basic dorm items but are essential dorm organization products. Keeping your dorm stuff organized starts with keeping clothes in your closet. Sure, it's small, but that closet should have plenty of cheap hangers and hanging dorm shelves for your clothes. To maximize space, add a speciality hanger like this College Closet Loop Hanger. 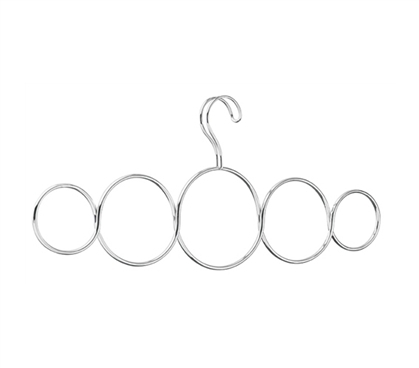 This hanger for college closets is ideal for scarves and belts. By using a specialty hanger, you'll free up space for your regular hangers. 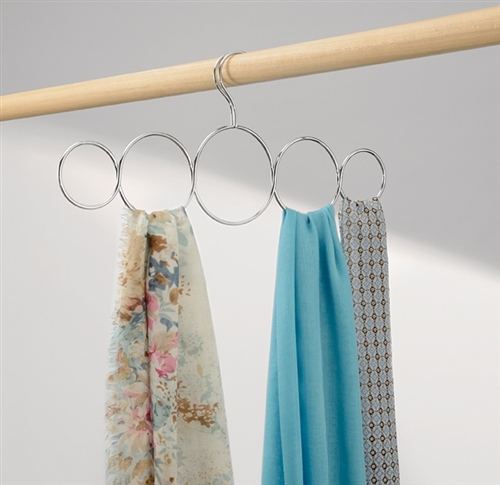 Plus, scarves, belts and other clothing accessories can be difficult to hang on regular hangers. 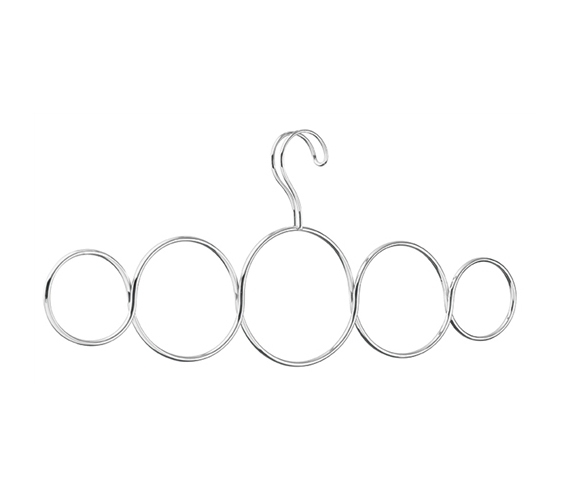 This quality metal hanger will make a nice dorm accessory for any college closet. It's best not to let fragile clothing accessories like scarves fall to the floor, where they can get lost or trampled amid a pile of shoes and other discarded college supplies! Some clothing accessories just can't take that abuse, so keep them hanging off the floor. Since this hanger is such a cheap dorm item, it's worth including as part of your college stuff. Plus, it's a dorm supply that will be useful for as long as you'd like to use it!